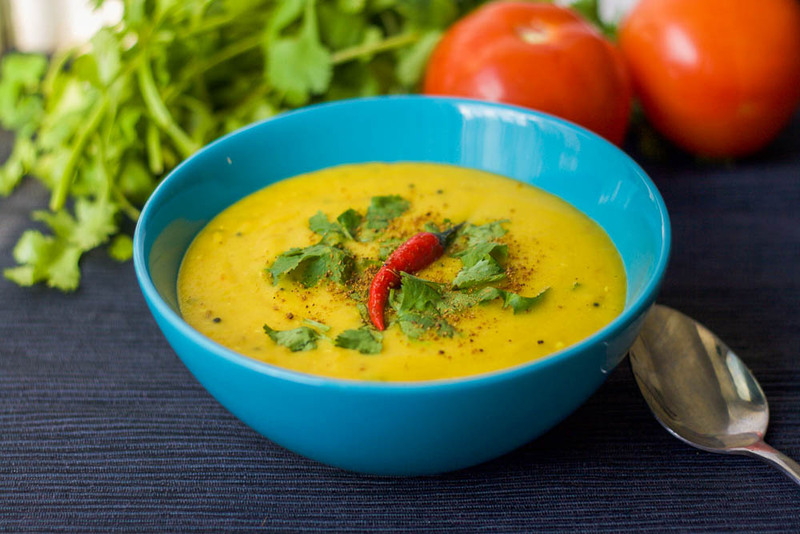 This dry yellow moong dal recipe comes with a story. 🙂 I grew up eating dal (lentils) all the time. To be honest, I didn’t care for it much as a child. I would complain to my Mom and call it “jail food.” (They serve dal and roti to jail inmates in India or this is what I have been made to believe by watching one too many Bollywood movies :P). Now that I am old and wise (:P) I realize how awesome dal is. 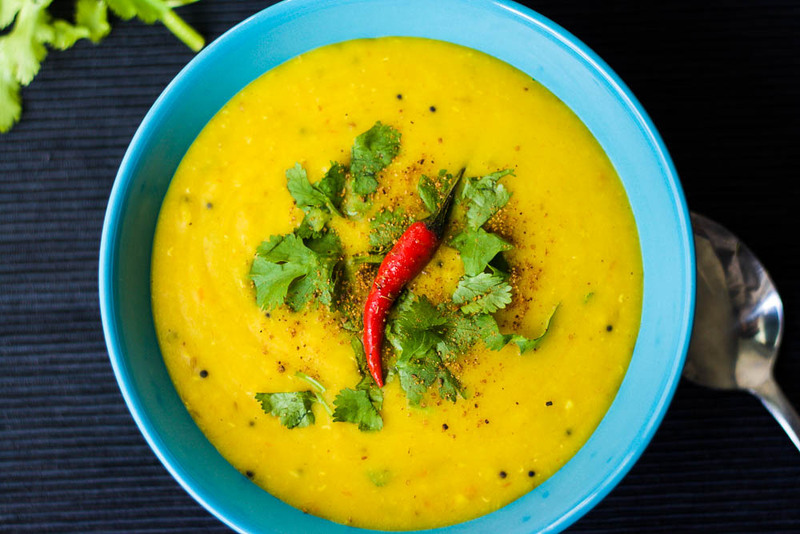 Not only is it incredibly delicious and nutritious (high in protein and fibre) but dal is super easy to make! Aside: Sorry Mom for being ungrateful at times and thank you for always making sure we had food on the table! You also worked full-time so that makes you a serious bause. This particular dry yellow moong dal recipe come from my mother in law! You see, there are so many South Asian variations on dal! My Mom is from Punjab and my mother in law is from Gujurat. I have been blessed with trying out these different cuisines. My Mom’s Punjabi dal recipe is also amazing which I will be posting soon. This dry yellow moong dal recipe is slightly easier and is dedicated to Julia, a friend from work, who asked me for a “Canadian girl dal recipe.” I think she means a super easy dal recipe that you can’t mess up. This is one of those recipes! I’m lazy, I like to eat full meals and I like to eat soups. This is why I’m always on the search for super easy and quick to make meals that are protein rich (and delicious, of course!) soups. 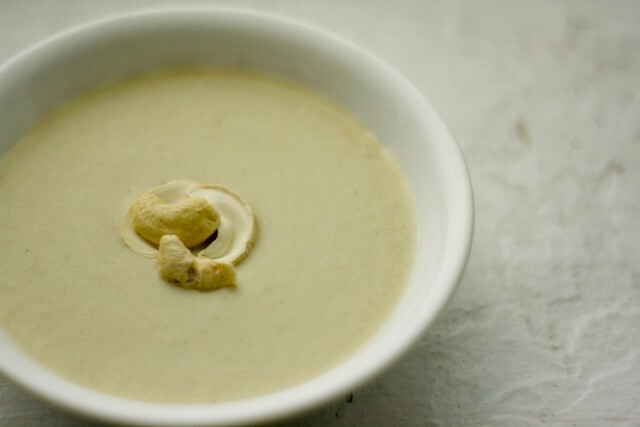 This celery cashew soup makes the cut and taste mmm mmm good! Cashews are also really good for you. According to Healthline, “Although cashews are one of the lowest-fiber nuts, they are packed with vitamins, minerals and antioxidants. These include vitamins E, K, and B6, along with minerals like copper, phosphorus, zinc, magnesium, iron, and selenium, all of which are important for maintaining good bodily function.” The benefits for your body include but are not limited to your heart, blood, eye health and weight-loss. Most people get weary of the high fat content of cashews and though this is true, the fats are monounsaturated and polyunsaturated. When eaten moderately, these fats can improve heart conditions and reduce the risk of stroke (along with preventing weight gain). In conclusion, cashews have good fat and we need food fat. 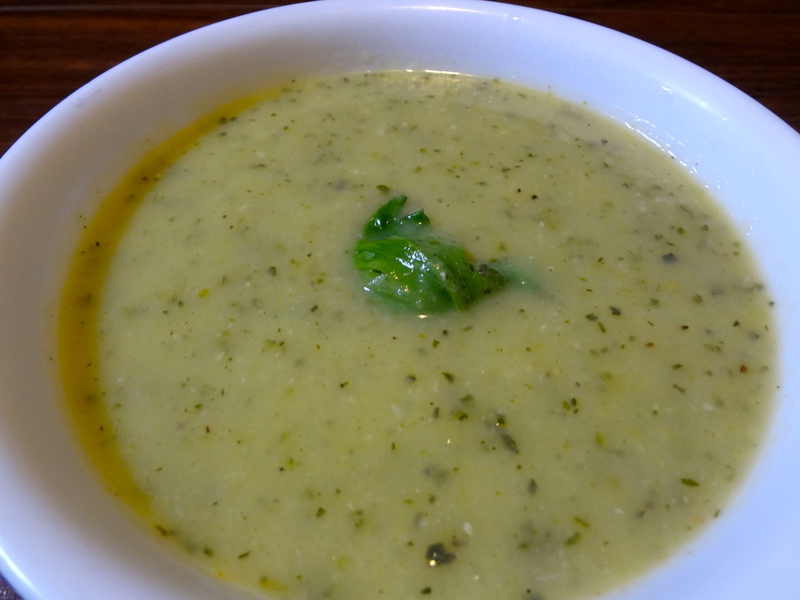 Also, this Celery Cashew Soup freezes well! Add the cashews, stock, rice, milk, and sea salt. Bring to a boil, reduce heat, and simmer until celery is softened. Puree with an immersion blender. Add pepper to taste and more salt if you want. Courtesy of the Fresh Cook Book. I’m baaa-aaak. I’m not even going to try to make up excuses for my hiatus. I’m trying to start a startup which is apparently A LOT of work and I’m still trying to figure out how to manage my time. BUT I am going to try my darnest earnest to have regular posts. So here I go! This one is really a summer recipe but it is so delicious! It’s almost worth pretending it’s summer, cranking up your heat in your home, wearing shorts and sunglasses and enjoying this awesome soup! 1. Put pineapple, cucumber, pineapple juice, oil, lime juice, jalapeño and salt into a blender and purée until smooth. 2. Add green onions and purée just until combined. 3. Transfer soup to a bowl, cover with plastic wrap and chill for at least 2 hours. Ladle soup into bowls and garnish with macadamia nuts and cilantro. I need a better routine, shucks! 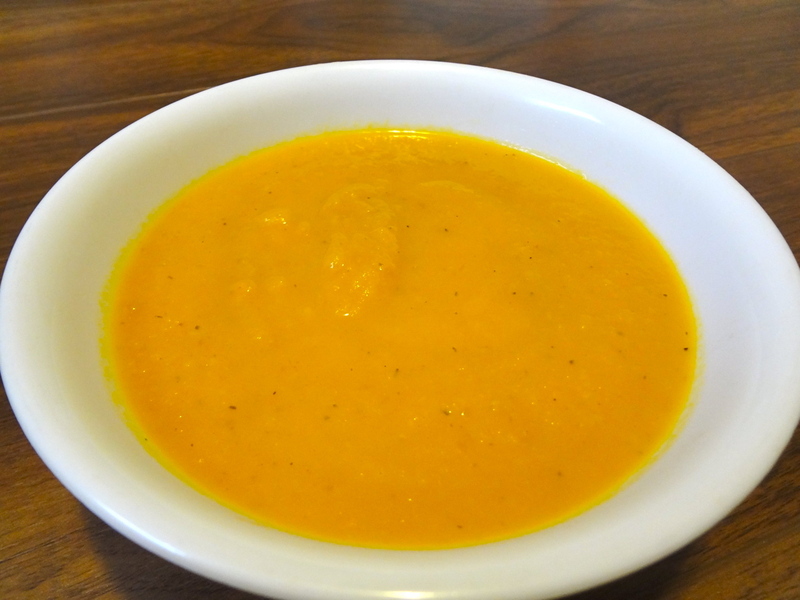 In the meantime, here is the carrot soup recipe 🙂 I made it extra gingery which was ginger spicy, which I LOVE! 1. In a large pot, add 1 tbsp olive oil over low-medium heat. Add chopped onion and cook for about 5 minutes until translucent. Add minced garlic and ginger and cook for another couple minutes on low. Add chopped apple and carrots and cook for a few minutes more. 2. Add the vegetable broth, stir, and bring to a boil. Reduce heat to low-medium and simmer for 20 minutes uncovered, or until tender. 3. 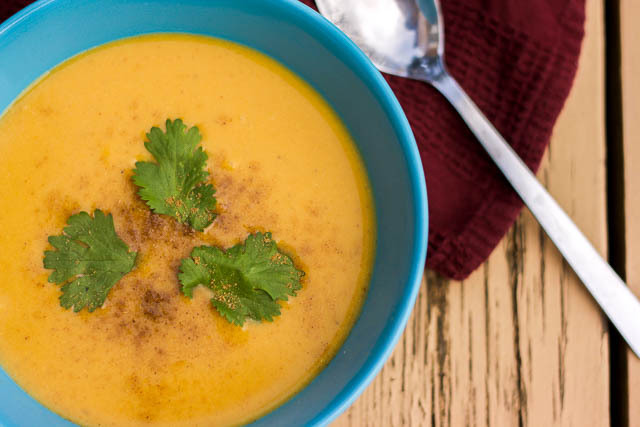 Carefully transfer half of the soup into a blender (or you can use an immersion blender), add a pinch of nutmeg, and blend until smooth making sure to allow steam to escape through the lid. Remove blended soup and set aside. Now add the other half and blend again. Be careful as it’s very hot. 4. Place soup back in the pot and season with salt and pepper until to taste. You can thin the soup out a bit with more broth if desired. Serve and garnish with freshly ground pepper and a drizzle of olive oil. It goes lovely with fresh bread and Earth Balance or hummus. This one is definitely a keeper! I am trying to do at least one new recipe a week, and this week’s was a hit! Minimal ingredients, super easy to make and sooooooo yummer in my tummers! 1. Melt oil in a heavy 4-quart pot over medium heat. 2. Add the sliced garlic and onions and cook on medium-low heat for about 10 minutes, or until the onion is soft and translucent. Keep the heat low enough that the garlic doesn’t brown; you want everything to sweat. 3. When the onions are soft, add the zucchini and cook until soft. Add the broth and bring to a simmer. 4. Simmer at a low heat for about 45 minutes (or about 20 minutes if you have a pressure cooker). 5. Let cool slightly, then blend with an immersion blender until creamy, or transfer to a standing blender to puree. Be very careful if you use the latter; only fill the blender half full with each batch, and hold the lid down tightly with a towel. 6. Taste and season with ginger, salt and pepper. I found that in needed a generous amount of salt and pepper. I’ve been eating a lot of kaka these days, I’m not going to lie. With travelling to Europe and wedding season, my happygut awesome streak has been compromised 🙁 My saving grace is that I will be going on a 6 week cleanse in a couple of weeks, after the weddings are over. 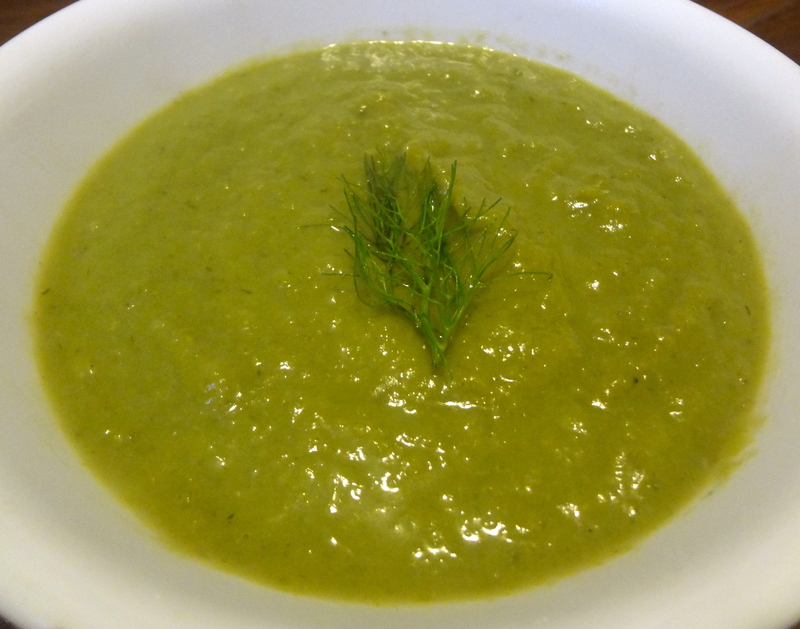 To treat myself I decided to make asparagus fennel soup (YES, healthy food is a treat ;)). It was awesome! Delicious and it went down so well, my body has been screaming for something like this for a long time! 1. Bend each piece of asparagus near the tough dried end until it snaps off at its natural breaking point. 2. Discard ends, wash remaining asparagus, cut into 2-inch pieces and set aside. 3. In a large pot over medium heat, saute garlic, fennel, and leeks in olive oil until soft (about 3 minutes). 4. Add asparagus, herbs, broth, and rice milk. Bring to a boil, reduce heat, cover and simmer until asparagus and is soft (about 10 minutes). Remove from heat and cool slightly. 5. Puree soup using a blender. Add water if a thinner soup is desired. Season to taste with salt and pepper. 6. Garnish with dried dill or fennel greens and serve. 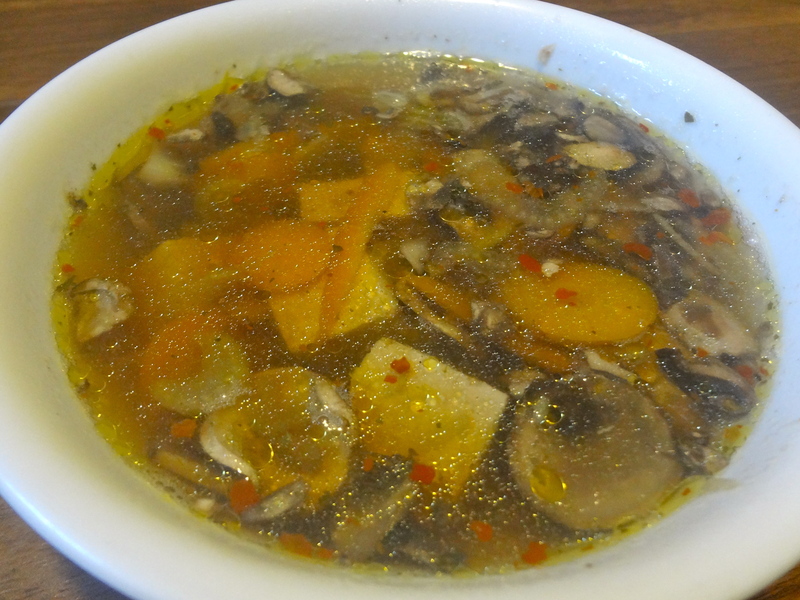 I have been craving hot & sour soup for weeks now, and so I finally dusted off the slow cooker last week….literally – it was a good day 🙂 The soup was delicious, man I need to make a conscious effort to use it more. Alternately, you can use the good old stove top if you don’t have a slow cooker!